Life is full of routines. You have your morning routine, your evening routine. You’ve got your school or work routine, and your afternoon-when-you-get-home-from-school-or-work routine. You have relationship routines, family routines, holiday routines. You have your church routine, your faith routine. With all the routines in life, it’s easy to feel stuck. Oftentimes it can feel like you’re not growing as a person or as a Christian. Sometimes you need to do something different. Sometimes you need to break from the routine. Sometimes you need to challenge yourself. Sometimes you need to Add More Weight. I’m kicking off week 9 of P90X this week. After four years of starting and stopping, I’ve made a determined effort to finally complete the full 90 day cycle. I’m 2/3 of the way through it now. It’s easy to get in a routine during the workouts. You cycle through the same movements day to day and week to week. Don’t get me wrong – I love Tony Horton’s system. The workouts are really hard at first, especially if you’re not used to doing these exercises. But after a few weeks of doing the same thing your body gets used to the routine. You don’t sweat as much. You start to think the workout is a little too easy. After the initial challenge, you need a little something more to reap the workout benefits. 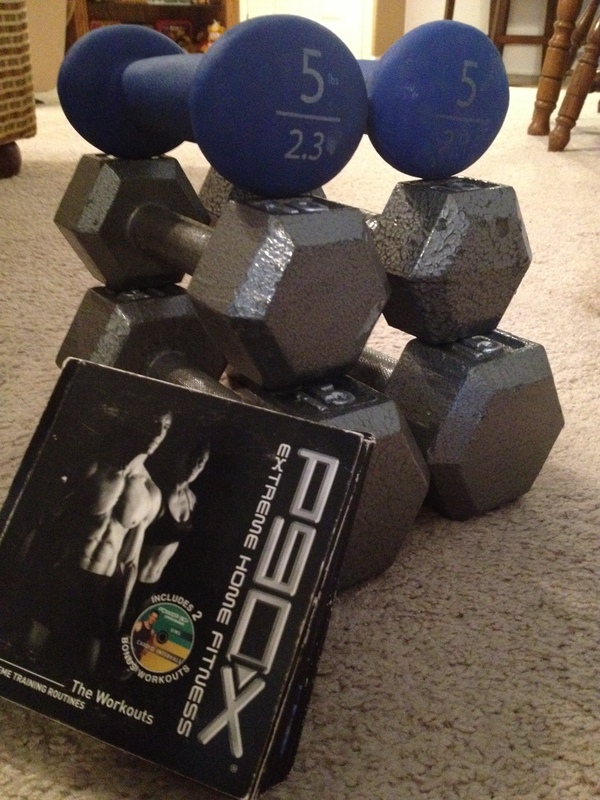 Instead of being content with 5 lb dumbbells, your body challenges you to move to 10 lbs. If you want to move forward, you have to Add More Weight. If you want to really build muscle, you have to Add More Weight. If you want true results, you must Add More Weight. If you want to break out of your routine in life, you have to Add More Weight. You have increase the level of difficulty. Once you find success at one way of doing things it can become a habit. You can get stuck doing things the same old way you’ve always done them. You plug along covering the same ground, not really moving forward in life. If you want to break out of your discontentment, you need to Add More Weight. In life, Adding More Weight means following those scary notions inside your soul. It means following the quiet voice inside your head that pushes you to break from the routine. Adding More Weight means applying for a different type of job. It means talking to that girl you’ve been afraid of. It means having that conversation with your coworker you’ve been avoiding. Be warned though: when you Add More Weight, the exercises become tougher. You struggle. You fall. Sometimes you push yourself too far. You have to Add More Weight slowly, because you’ll really hurt yourself if you try to do too much at once. You don’t want to get hurt if you can avoid it. But you still might hurt yourself. That’s the risk you take to grow stronger. When you Add More Weight, you’ll probably be sore tomorrow. You’ll be tired, mentally and physically spent. That’s just how you know it’s working. When you Add More Weight, God shapes and molds your body and mind to become something different, to be more of who he made you to be. How can you Add More Weight in your life?